1/2 fl. oz. 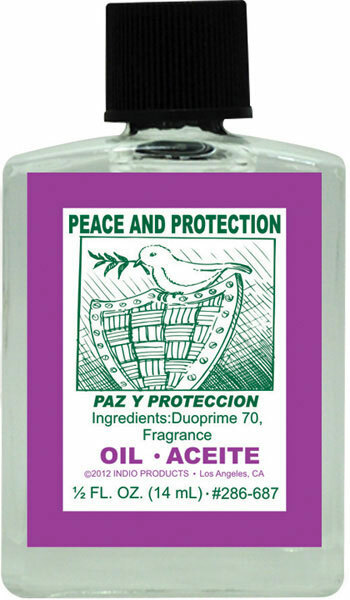 (14.7ml) Use Indio Peace & Protection Fragranced Spiritual Oil to bring peace, love and harmony into yourself, your home and loved ones and to always have protection surrounding you. Oils can be used to dress candles, it could be use on the body and or to make any kind of rituals. *Please read ingredients before any contact with the skin to avoid any allergic reaction.